I’ve been making this Japanese rice seasoning for my lunch boxes for the past couple of weeks and now I can’t not have it! It’s super easy and very flavorful over rice. It’s salad dressing for your rice basically. Nori. Many sheets of nori. The kind you get to make sushi. I usually do 12 sheets at a time, and a batch will get me through a week. Lots of roasted/toasted sesame seeds. I’d say for 12 sheets, I probably used 1/2 to 3/4 cup of seeds? Salt. I think I put in a teaspoon. 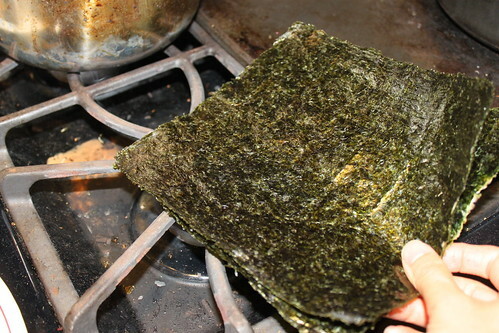 Roast the nori over your stove. Electric or gas is okay. 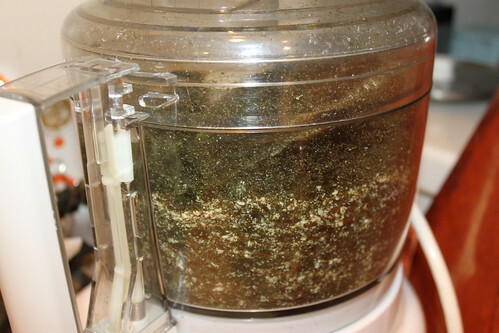 Just toast the nori on both sides. Cut the sheets into quarters or eighths or whatever, enough to get them into your food processor (a blender would work too I think). 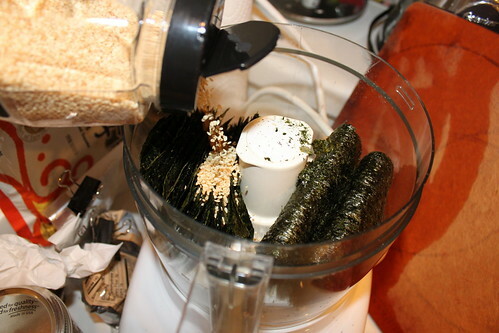 Add the sesame seeds and salt. Pour them in a glass jar to store. 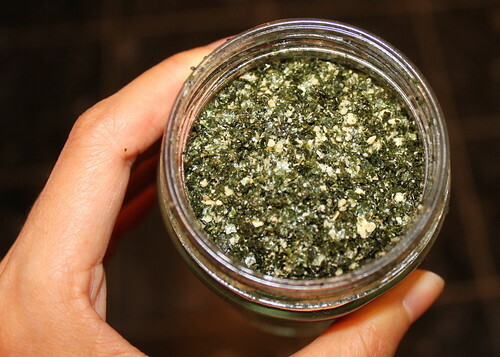 I keep the jar in my freezer as well as my packages of nori. Sprinkle it over rice. I like to add (apple cider or rice) vinegar to my rice too for more flavor. I look forward to lunch everyday so much now, I generally eat it by 10.